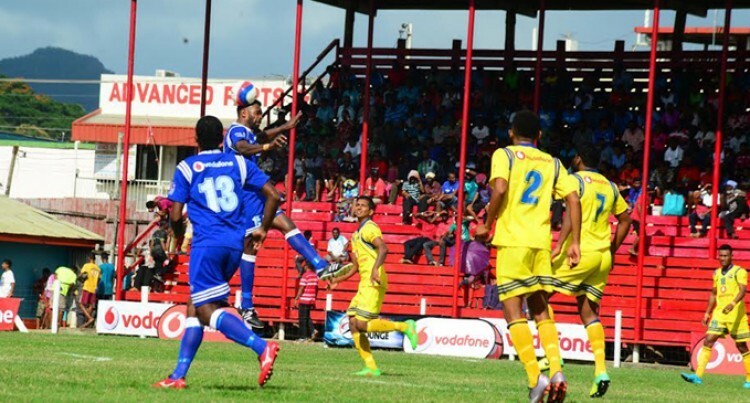 Players that want to play for the Vodafone national football team now stand a chance if only they put on an impressive performance in the Vodafone Fiji FACT tournament. Vodafone national football head coach, Frank Farina and Fiji Football’s technical advisor Ravinesh Kumar were at Subrail Park during the tournament scouting for potential players. This is because the Vodafone national football team are preparing for the third stage of the Federation International De Football Association (FIFA) Oceania World Cup qualifiers in November. Fiji FA is working to arrange international build-up matches before the World Cup qualifiers. Fiji FA president Rajesh Patel said already confirmed is the clash against Malaysia. “We are playing Malaysia on June 26 and we are looking at playing other international teams during the international friendly season,” Patel said. Malaysia are ranked at 173 while Fiji are on 186 in the latest FIFA ranking. Fiji take on Malaysia at Prince Charles Park, Nadi. The Malaysian national side in their tour to the Oceania lost to Papua New Guinea 2-0 last Friday. Fiji were fortunate to qualify from their pool for the third stage of the World Cup qualifiers after finishing ahead of Vanuatu on points difference in the second of the World Cup qualifiers during the Oceania Nations Cup in Papua New Guinea. Six teams from the two pools advanced from the second round will be divided into two groups of three teams to play home-and-away round-robin matches. The two group winners will meet in a two-legged match with the winner advancing to the inter-confederation play-offs in November 2017 where they will play a team from another confederation for a place in the 2018 FIFA World Cup finals.